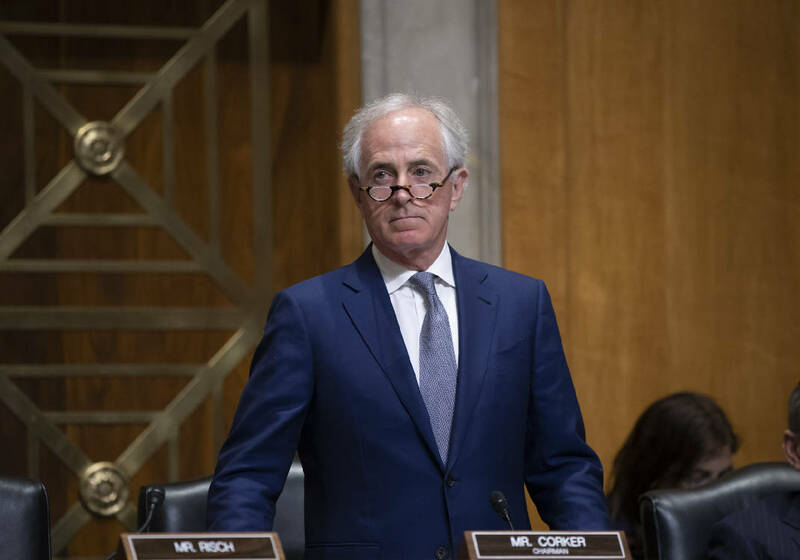 NASHVILLE — U.S. Sen. Bob Corker, R-Tenn., says he and others are "crafting" legislation requiring congressional authority over levying tariffs in response to President Donald Trump's imposition of stiff steel and aluminum tariffs on Canada, Mexico and the European Union. "I think that the authorities are being abused, and I think a number of people around here do," the Chattanooga Republican told Washington-based reporters Monday in a follow-up to critical tweets he put out over the weekend on the issue. "So we're crafting some legislation, working with other offices to try to pull back some of those authorities to Congress." He said "what the legislation we're working on would do would be to make sure before those things could even occur you'd have to get congressional approval." In one of his tweets, Corker posted links to editorials or articles from The Wall Street Journal and The Washington Post on tariffs and their economic impact. "These two stories feel like something I could have read in a local Caracas newspaper last week, not in America," Corker wrote in one. "Venezuela, here WE come!" In the other, Corker tweeted he was "working with like-minded Republican senators on ways to push back on the president using authorities in ways never intended and that are damaging to our country and our allies. Will Democrats join us?" 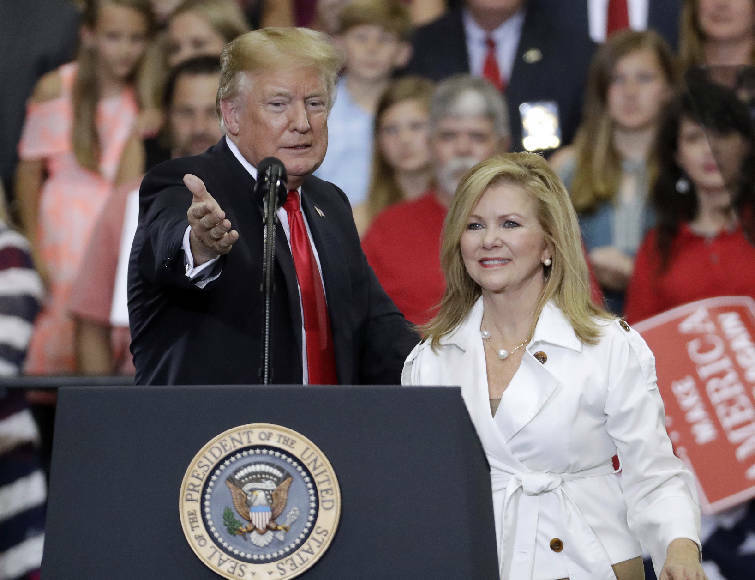 While both Blackburn and Bredesen have fretted in recent Times Free Press interviews or statements over the tariffs of 25 percent on imported steel and 10 percent on aluminum, as well as Trump's exploration of doing the same on autos, the former governor's campaign has been more critical. "I respect Senator Corker for putting Tennessee ahead of Washington politics. These tariffs do a lot of damage to TN businesses. For my part, I call on every Democrat and Republican who cares about our state to stand with him on this." In an appearance on Fox Business News' Mornings With Maria, Blackburn said, "we are watching [the situation] very closely. Of course, we know that the intention is to punish bad actors and not the American consumer. So, that is something everybody agrees on." Blackburn said, "we are concerned when it comes to auto manufacturers, auto-parts manufacturers, boat manufacturers that we have in Tennessee that use a tremendous amount of sheet aluminum. ... You've got washing machine manufacturers that are there, and they're concerned." When one of the hosts noted the steel and aluminum tariffs are already in effect, Blackburn said, "Right, and we're talking to them [administration officials] every day. And we're waiting to see exactly what's going to happen, what exemptions are going to take place, and how this is going to come down." Blackburn noted "Donald Trump goes through a process in negotiating, so we're in the conversation, talking to Commerce and Trade and, you know, still trying to work through this." 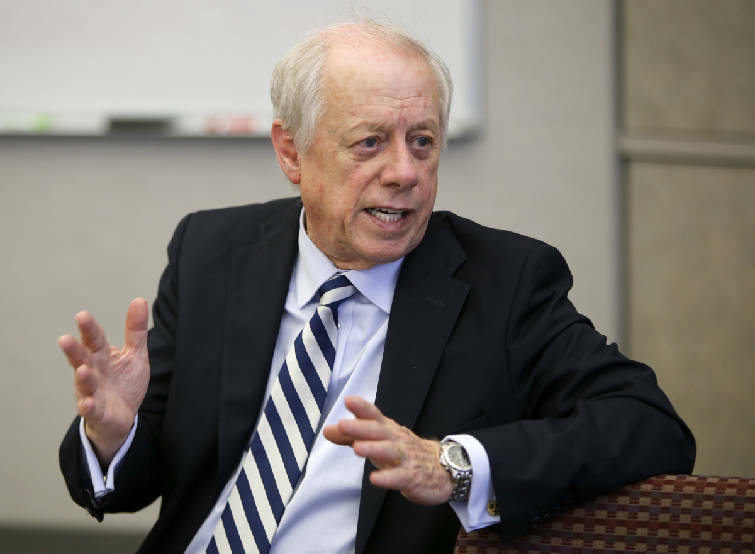 Phil Bredesen meets with the Times Free Press editorial board on Feb. 20. The Brentwood congresswoman pointed to one Tennessee manufacturer that relies on a certain type of aluminum not made in the U.S. "So you're disadvantaging them, if they have to pay that tariff in order to get that product that is an essential product in the product they manufacture, then you're running their price up. "China is the bad actor," Blackburn added. "They have been stealing our intellectual property for decades. It has, they have stolen, they have infringed, and yes, they need to be dealt with, and I know the Secretary [of Commerce], Secretary Ross, is working through that process trying to get some concessions with them." While Republicans are in control of the Senate, the GOP has a razor-thin 51-49 margin over Democrats. Several Republicans have raised concerns as well over the tariff battle, and a bipartisan coalition could get traction although ultimate success is uncertain. But in the House, Majority Leader Kevin McCarthy, R-California, defended Trump's efforts to leverage tariffs on close U.S. allies as "standing up" for free trade during a Sunday appearance on CNN. "We are in the middle of a trade discussion. Nobody wants to be in a trade war. Nobody wins a trade war," the California Republican said on CNN's "State of the Union." "But we are standing up for the process of where we're moving forward that we have fair trade." Meanwhile, Republican Gov. Bill Haslam told Tennessee reporters in Lawrenceburg Monday that he remains "concerned about the impact here, No. 1, about on the cost of goods when they come in to us. We produce a lot of automobiles and automotive-related [products], and I'm concerned that tariffs will hurt that." Secondly, the governor said he is also worried about prospects of a potential trade war as Canada, Mexico and the European Union slap the U.S. with their own tariffs. "I'm concerned about retaliation — whether it be agricultural products or Jack Daniels or any of the long list of other things we produce here. I'm concerned that folks will raise ... the tariffs on our exports and we'll feel that here as well." Tennessee "depends a lot on international trade, and I think when you throw a wrench like this into the system that's been working really well for Tennessee, I'm concerned about the impact," Haslam said.